Coming back to these is hard after six months. 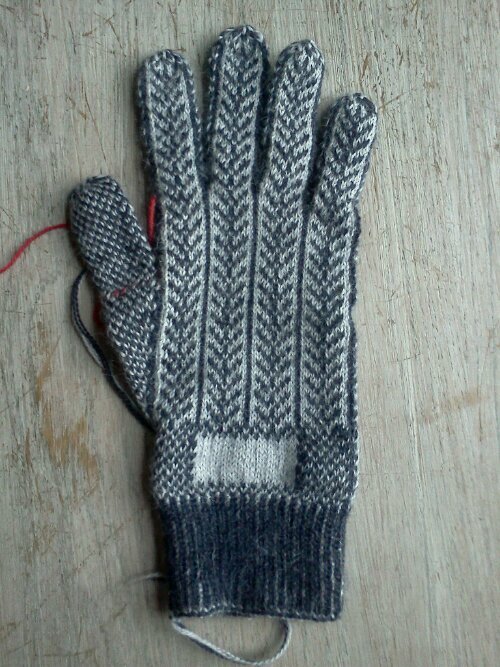 This glove feels wonderful – it’s knitted in Rowan Fine Lace yarn which has alpaca in it. But it is a singleton – it needs a partner. Perhaps I should knit it one? This is the first in the pair. I usually knit two at a time but this one was taken trekking and weight is vital. Now to make the next one the same. 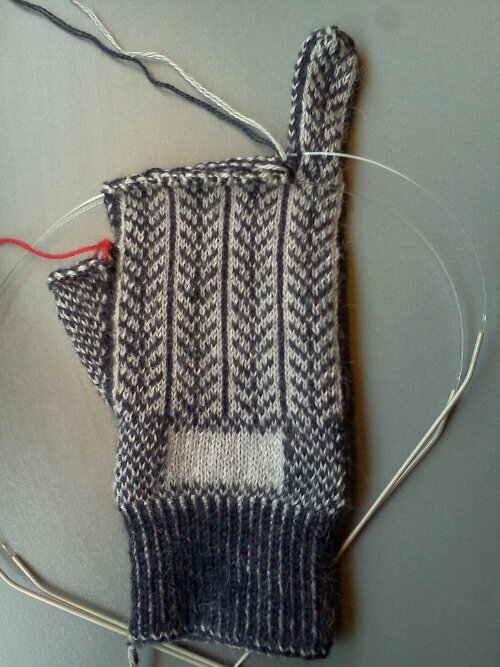 The little finger has been knitted and now I’m going to knit 3 rnds before starting the other fingers. I’m doing more knitting as the night train to Paris was stopped at Toulouse because of storms so now we’re in 1st class of a TGV heading west then north. Picture taken on San Miguel table in Spanish campsite. 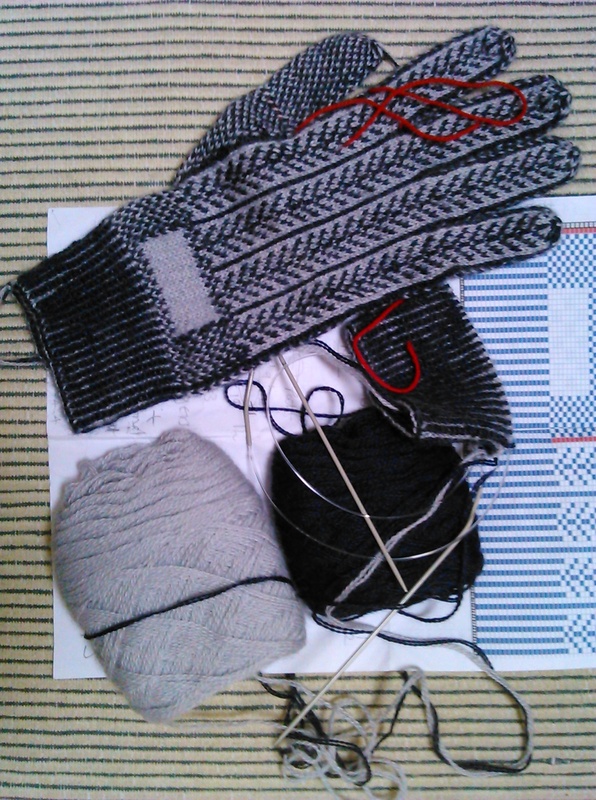 The lace weight gloves are coming on nicely with a single rib cuff followed by an alternate stitch band. I left a blank panel to add initials later. It’s too difficult to work from a chart when I’m on the road so to speak. Finished rib due to longer train journey than expected. Was almost same as train seats as pointed out by SNCF ticket person. Just cast on with Rowan Fine Lace, half alpaca half fine Merino. Have been on trains from home to London, now en route to Paris. Good knitting time. 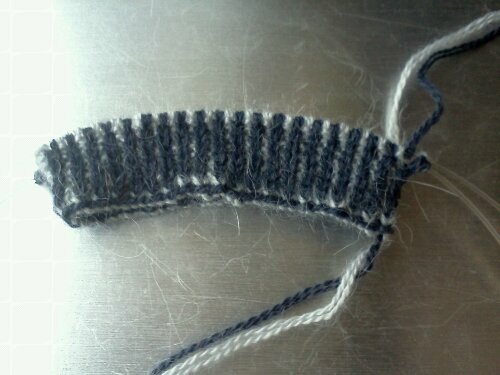 I’m using the yarn double on 2mm circulars. Seems to be working although you’ve got to keep an eye on things. Well done! Beautiful pattern; may I ask the name of it? Yes it’s called the Tree of Life and it’s a pattern found on gloves from Yorkshire.